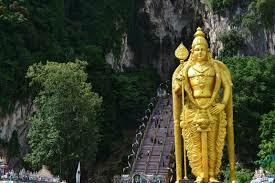 Get cheaper car rental at Malacca Airport. Compare lower costs for MPV, SUV, Estate & Minivan Rental in Malacca. 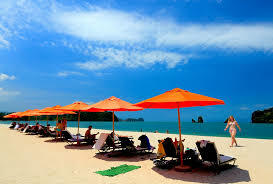 We compare lower cost car hire in Malacca Airport. Good choice of vehicles from small cars to nine seat minivans. SUVs are also popular, so do not delay and book today. It is a sure bet with us, to get a good deal, as we have teamed up with Avis, Europcar, Green Matrix, Hawk, Kasina, Mayflower and Prima Odyssey, to make your next trip run smoothly. Whilst Malaysia consists of five main areas, the main regions for car hire are Kuala Lumpur, Langkawi and Penang in the North. Forget the road map and hire a Sat Nav. This will save you time and lower the stress levels. Most car rental companies now offer this as an additional extra and charge a small daily fee. There are over thirty million people in the two parts of Malaysia, that are separated by South China Sea. Cars on driven on the left. Call +60 to talk. 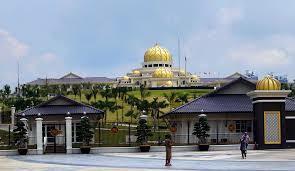 The largest city is Putrajaya. They use the Roman Alphabet and English is widely used, but Malay is still spoken. The Strait of Malacca sees nearly half the world's shipping go through it. Football is the most popular sport, but then comes badminton. The F1 Grand Prix is held each year. It has many attractions on offer. Bountiful beaches and exotic islands. Try food fused from many traditions, with a rich cultural heritage. These dovetail alongside modern architecture, typified by the twin Petronas Towers of Malaysia's capital in Kuala Lumpur. Get better deals on SUV, MPV and minivans here. 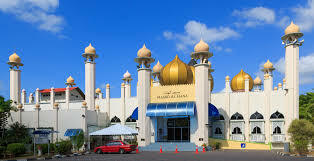 Save on Malacca Airport motoring costs when pre-book here. Sedans from small to full size available. 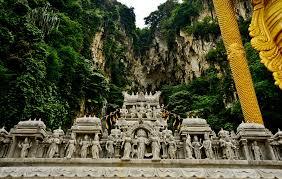 Apart from Kuala Lumpur, or KL as is it referred to by regular visitors, Malaysia can be split into these main holiday destination regions namely:- Malacca, Penang, Kuantan, Langkawi and Johor Bahru. More and more people are visiting this group of over one hundred islands, known as the Jewel of the Kedah, in the Andaman Sea. However only two islands have people on them, with Paula Langkawi the main one, known as Langkawi and where most tourists go. Apart from the beaches, the rain forests are spectacular, especially the walk on the Sky Bridge (it is solid, not waving in the wind with rotten wood and old rope), that takes you above and through the treetops. It is located off Malay's north western coast and is a major tourist destination. The graceful town of Georgetown is the islands' capital. Driving yourself around Penang, will usually be the best transport option, but the taxis are good value. "Hire early for Malacca Airport, to ensure you get the vehicle you want, at the price you want to pay"
Known for its' own twin towers, the two main airport are a bit of a journey, and the bus, or train, are the cheaper options. If just stopping off before another flight, you can stay for four hours at the True Hotel, which is a covered walkway away.